Past this date, the account will be deactivated. 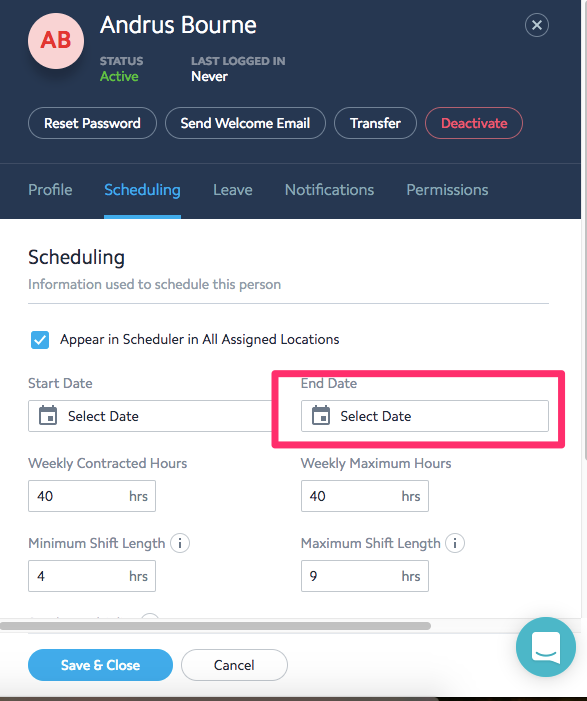 You will also no longer be able to schedule shifts for that person. You can also deactivate their account by clicking on the Deactivate button on the top right corner of their profile. This will take effect immediately. If the employee is transferring to another store, you will need to use our transfer tool. 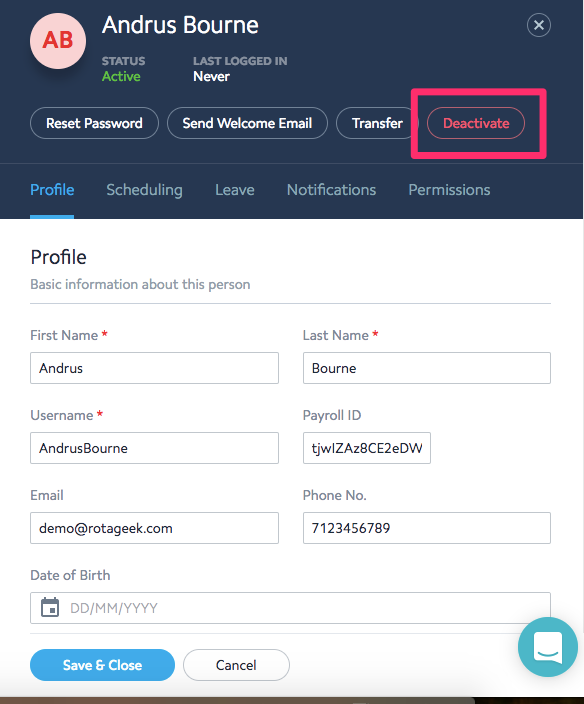 Navigate to the employee's profile and add the location they're transferring to, along with the transfer date. Once completed, press Save and Close to save the details.